Look to be treated by others as you have treated others. Remember, we all stumble, every one of us. That's why it's a comfort to go hand in hand. Smile and the world smiles with you. gift of unconditional love and acceptance. 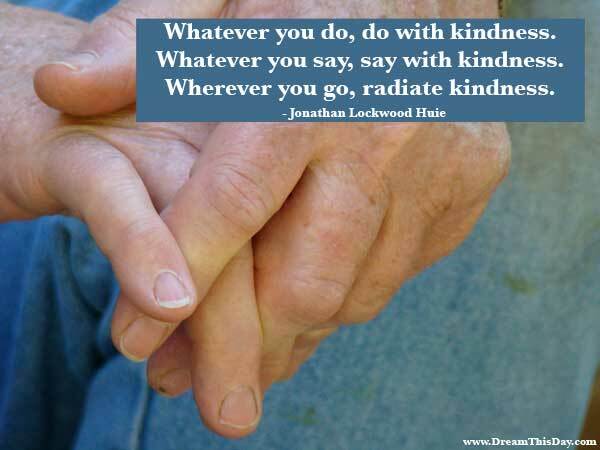 but most will respond with kindness and friendliness. that they will respond with harsh thoughts and actions. Kindness is the language which the deaf can hear and the blind can see. See the link below for more info.